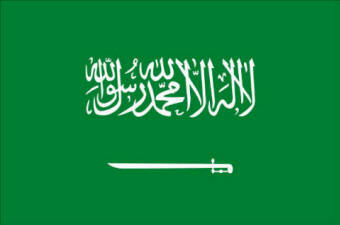 MANILA (Mindanao Examiner / Oct. 25, 2011) – A Filipino working in Saudi Arabia was jailed after being accused of blasphemy. The Filipino, whose identity was not immediately known, was reported to have sketched a “dirty finger” sign and with it was the word “Mohamad.” The man was arrested by religious police and is now detained in Riyadh. Philippine labor and foreign ministry officials were not immediately available for a statement, but the Migrante-Middle East has already confirmed that the Filipino was arrested. John Leonard Monterona, the group’s regional coordinator, said they received a report from their chapter in Riyadh, the Kapatiran sa Gitnang Silangan (Brotherhood in the Middle East) about the arrest of the Filipino, who is native of Laguna province in the Philippines. He said Eric Jocson, chairman of the Kapatiran sa Gitnang Silangan, reported that the 32-year old Filipino, who works as a factory worker, was arrested after he was caught by his supervisor with the offensive illustration. Jocson said the Filipino was arrested on October 14 after his supervisor phoned the police and complained about the drawing. He said prior to the arrest, the Filipino and his supervisor had an argument over a new job assignment. The Filipino is being held at the Azizia police station. “It is unfortunate that because of what he had sketched, he was sent to jail and might probably face a case over violation of customary prohibition,” Monterona said in a statement sent to the Mindanao Examiner on Tuesday. He said they will consult a local Shariah lawyer to see if what the Filipino worker drew broke any Saudi laws or customary prohibition. “It is totally wrong to equate that what he had drawn is in reference to Mohamad, the prophet, as we, overseas Filipino workers, have high regard and respect to the Muslim prophet. Blasphemy must be ruled out,” Monterona said. Monterona said the Filipino could be expressing his disgust and frustration to his supervisor - who wanted to transfer him to a new job site - that prompted him to draw a dirty finger, instead of appealing to retain his present job.